The staircase of the original building had an awkward position across the living-room. Moving the stairs to a new entrance-volume gave better access and better lighting-condition to both floors of the building. 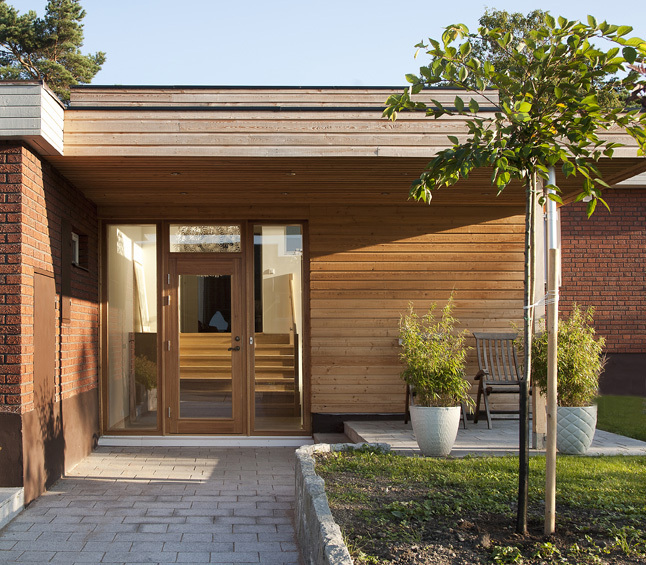 Extension to house at Tyresö. 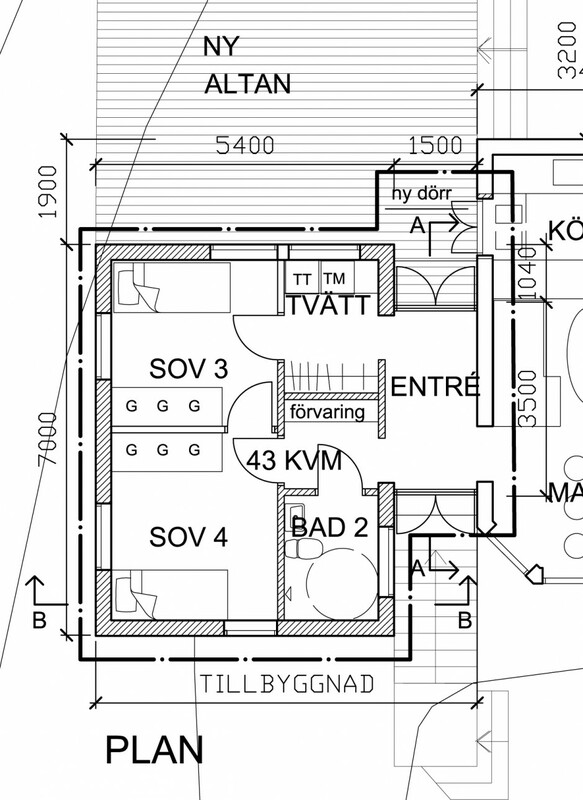 Proposals and building permit documents.